We are one of the prominent wholesaler and exporter of quality range of Industrial Washers. Range of our product includes Hastelloy Washers, Stainless Steel Washers, Cupro Nickel Washers, Alloy 20 Washers, Inconel Washers, Duplex Steel Washers, Nickel Alloy Washers, Titanium Washers and Monel Washers. We present a unique range of premium quality Stainless Steel Washers. 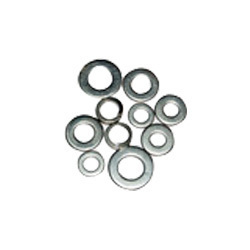 Range of our product includes Plain washer, plain big & small washers, spring lock washers, spring washers heavy duty, tooth washers, star washers, tab washer with one and two tab. These are fabricated using high class stainless steel and is been procured from certified manufacturers. Backed with latest technology, we offer a wide range of Nickel Alloy Washers that includes Plain washer, plain big & small washers, spring lock washers, spring washers heavy duty, tooth washers, star washers, tab washer with one & two tab. These are highly appreciated for its durability, sturdy construction, corrosion resistance, stability and reliability. ASTM / ASME UNS 6600 INCONEL 600. ASTM / ASME UNS 6601 INCONEL 601. ASTM / ASME UNS 6625 INCONEL 625. ASTM / ASME UNS 7718 INCONEL 718. ASTM / ASME UNS 7751 INCONEL X-750. ASTM / ASME UNS 8800 INCONEL 800. ASTM / ASME UNS 8810/11 INCOLOY 800H. ASTM / ASME UNS 8825 INCOLOY 825. 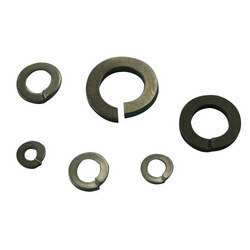 Being a quality centric organization, we offer a wide range of superior quality Alloy 20 Washers. These widely find its application in various industries all across the world. Our range of product is well known among the clients for its various features that include sturdy construction, durability, corrosion resistance and reliability. We offer these at competitive prices and within time stipulation. 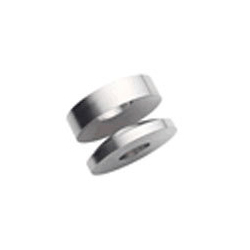 We are specialized in offering a broad range of premium quality Cupro Nickel Washers. These are available in variety of quality material like duplex steel, inconel, hastelloy, stainless steel, nickel alloy and titanium. We offer these to our respected clients in various shapes and sizes as per their requirements. These are highly demanded in both, international and domestic market. 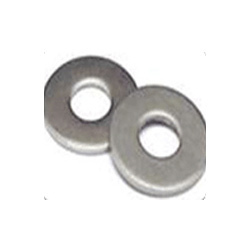 We supply a wide range of Titanium Washers that are available in various shapes and sizes as per the specifications of our respected customers across the globe. These are made from high class material, complying with various industrial standards and is been obtained from reliable manufacturer. Our range of product is closely examined on various parameters before delivering it to our clients. 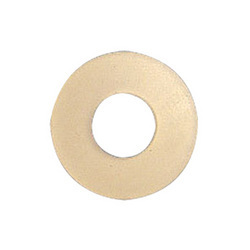 Qualitative range of Monel Washers is offered by us to match up with the increasing demands of our respected customers across the globe. These are fabricated as per the international quality standards and according to the requirement of our customers. 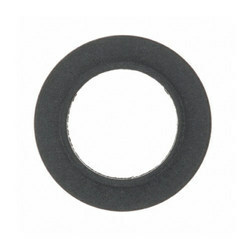 Our range of product is available in variety of shapes that includes spring, spherical, taper, round, square, and tab. 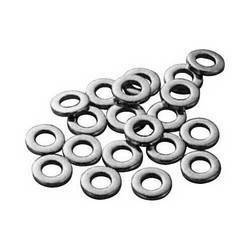 We are a renowned exporter and wholesaler of an extensive range of Hastelloy Washers. Range of our product includes Plain washer, plain big & small washers, spring lock washers, spring washers heavy duty, tooth washers, star washers, tab washer with one & two tab. These are available in various dimensions and at competitive prices in the market. 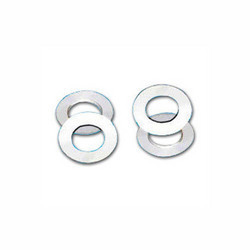 With the years of industrial experience, we offer a unique range of Duplex Steel Washers. These are made of high grade raw material and is been sourced from trusted manufacturer of the market. We offer these to our clients as per their requirements and specifications. Our range of product is available in variety of customized packaging for safe and convenient delivery of our range of product to our customers.